Ready to hit your stomach harder than Soda Popinski after stealing a sip of his soda, Hawaii's Island Eatery's a counter-ordering hideaway opened by a couple of BFFs looking to bring a little island flavor to the lucky folks of... Lakeside. The unassuming spot sports a covered patio out front, and a thatch-lined interior where you'll post up to scarf down a bevy of traditional foods cooked by an actual Hawaiian, but that doesn't automatically mean she won't like you, haole. Everything's made from scratch, starting with meal initiators like seasoned-pork Gau Gee (or “Crispy Pockets”) served with a hot mustard/soy sauce, Kalua Pork Nachos on crispy wonton chips, Filipino egg rolls called lumpia, and ahi/ tako/ shrimp poke three ways that actually won't result in super awkward conversation and confused emotions immediately after finishing. 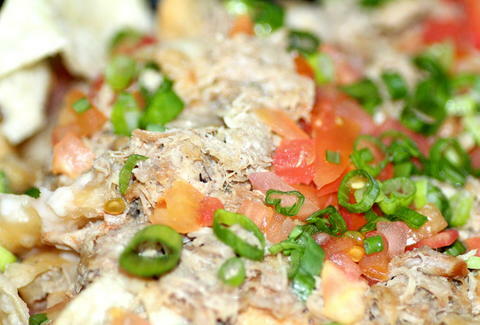 Those looking to fill out their Lululemons can get down on Loco Mocoz, which start with your choice of homemade beef patties, spam, sausage, or chicken katsu thrown on some rice, then smothered with gravy and topped with eggs cooked to your specs, or build-your-own combination plates with daily changing specialties like chicken adobo, Kalua/sweet & sour pork, and a rice noodle dish called pancit. They've also got three varieties of Saimin (a hot noodle soup) including Traditional with char siu pork, fish cake, and green onions, another that foregoes meat in favor of inspiring rage! veggies, and the Korean noodle/ chili paste/ Spam/ pork “Spicy Korean Style”, which is very similar to the Gangnam one, except you'll still be able to stomach this in two weeks.